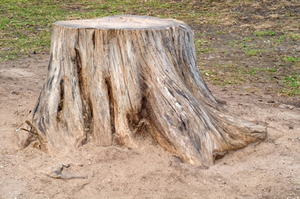 Tree Root Removal Services. Tree roots can grow into your water line or sewer pipes and clog them terribly. That’s because the roots are searching for water and nutrients. Large, mature trees may have thousands of feet of roots searching for water…and may just breech your underground water pipes. Trees and shrubs seeking water often follow the trail of moisture escaping from small cracks, holes, or poorly sealed joints in water lines. The roots then penetrate the openings to reach the moisture inside the pipes running around your home. Once inside, the tree roots can completely fill up and clog your water line and sewer pipes with multiple hair-like root masses that cannot be cleared away with store bought drain cleaners. More than a complete blockage of the pipe, you may risk the pipe breaking if the roots are not removed by a professional tree root removal company. This can cause serious damage to your plumbing system, property…and bank account. Our tree root removal experts can take care of your root problem and repair your water line and sewer pipes with precision and ease. From clearing blocked pipes to providing extensive tree root removal, drain clearing, sewer clearing, and pipe repairs, our plumbers are available to take care of your tree root problems. We are happy to offer a wide array of plumbing services to address the plumbing needs of our customers, including removing roots from pipes. Give us a call today to ensure that your plumbing pipes are root free. Schedule root removal service with our plumbers and pipe repair specialists.